With just over a week until launch day things are hotting up! Quite literally! The weather this week has been beautiful and Pwllheli has basked in glorious sunshine. The only downside to this is that flowers get very thirsty and if not correctly handled can wilt very quickly. Today I delivered flowers to a wedding venue and the marquee was just too hot to leave the flowers in. 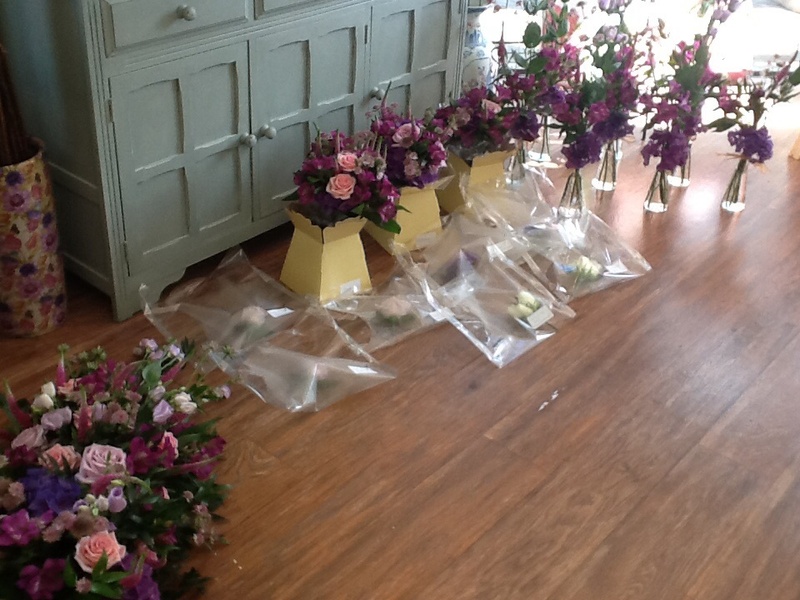 The venue owners very kindly let me leave the flowers in their cold room until I returned just before the wedding to set up the table centres. Even being in the cold room the flowers had taken up a lot of water!